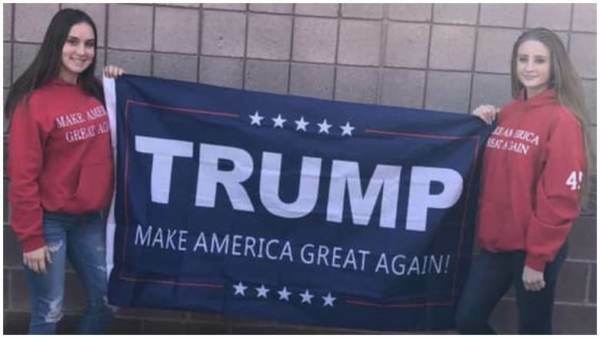 Students who were kicked off campus at Perry High School in Arizona over wearing ‘Make America Great Again’ attire and flags on Spirit Day are requesting an investigation by the Attorney General over the violation of their First Amendment rights. 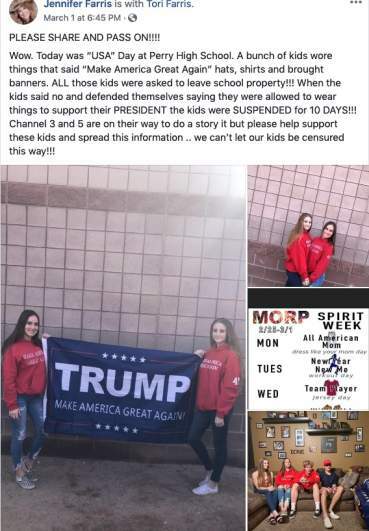 Parents of the students who were kicked out of school and disciplined told reporters that their children had been ordered to remove their MAGA attire during lunch. The school claims that they were causing a disturbance, but students have asserted that it was not the case. At least one of the students has also been suspended. The school’s handbook says nothing about political attire being banned. 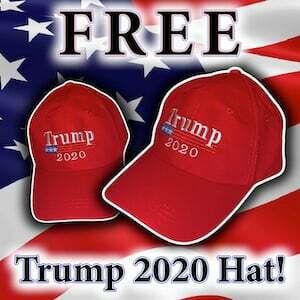 Sophomore Morgan Dupuis told AZ Family that not only was he asked to remove his pro-Trump attire, he claims that a coach also made him do 1,000 up-downs as punishment for wearing his MAGA gear. A parent who was called to the school by her daughter during the incident was told that if she did not leave campus she could be charged with trespassing — despite having multiple children who go there. The verbal altercation with the school administration was captured on video. On Monday, protesters carrying MAGA signs rallied at the school. 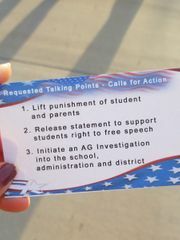 The protesters, many of them students at the school, handed out flyers with three demands listed. Lift punishment of student and parents. Release statement to support students right to free speech. 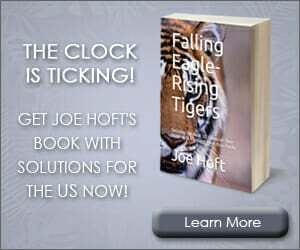 Initiate an AG’s Office investigation into the the school, administration and district. 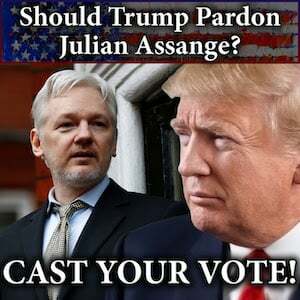 The scandal has made big waves, even gaining coverage in USA Today — yet the GOP has seemingly done nothing to help stop this constant targeting of people who dare to support the president.